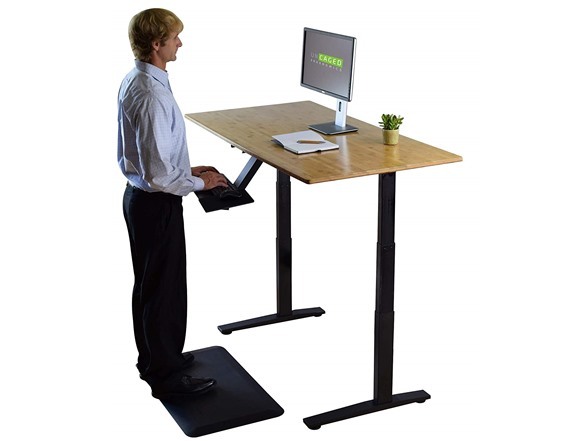 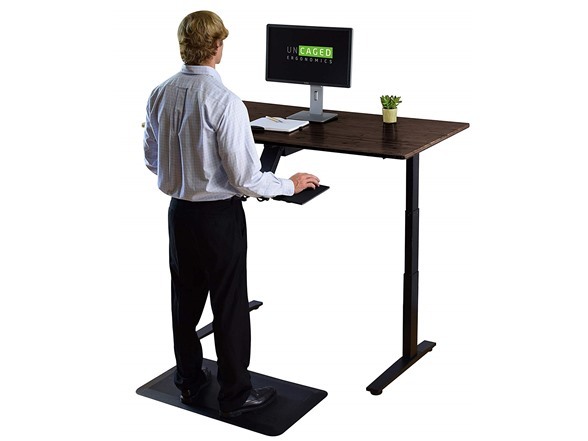 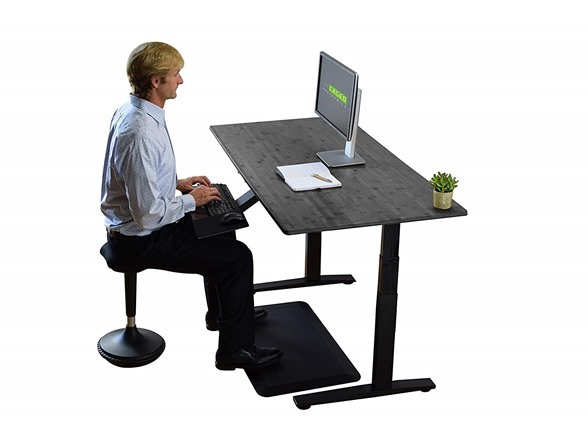 The precision, laser-cut steel standing desk frame has dual motors for a smooth, quick, and quit height adjustment. 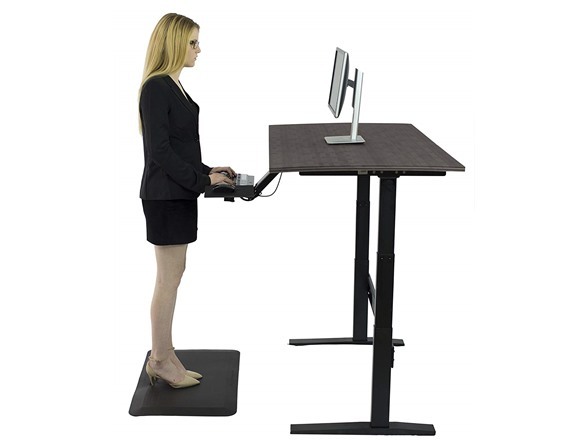 Uncaged Ergonomics has been making Rise Up for almost a decade and we use best-in-class motors with modern technology for optimal function and durability. 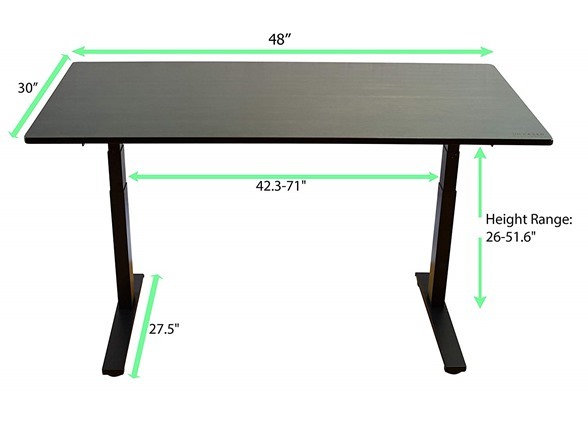 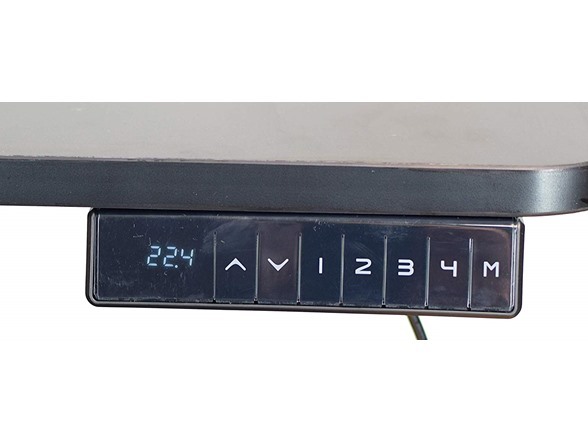 The memory keypad makes adjusting your office desk height simple: use the automatic up/down controls and store 4 of your favorite height settings for an even quicker adjustment. 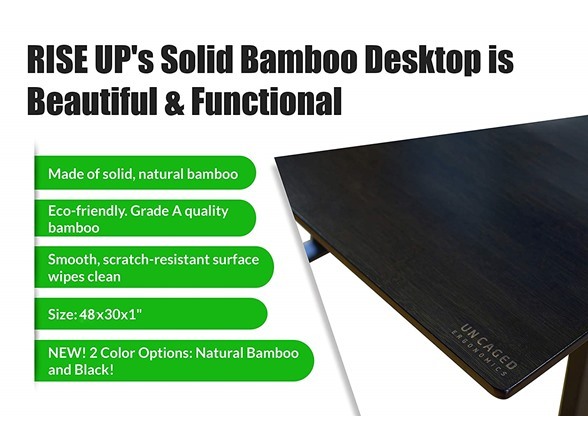 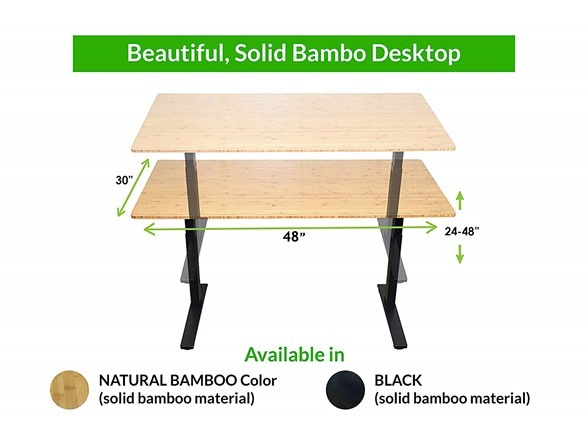 Our adjustable height desk frame is topped with a beautiful, 48x30” solid bamboo desktop has a premium non-scratch finish and looks great in any office environment.